We all have a selfish streak by nature. When we become aware that we are able to access God’s throne through prayer, our first instincts are to care only about ourselves. But just as spiritual growth helps us see the joy and fulfillment that come from serving other people, growth in prayer maturity leads us to think of other people’s needs before our own. St. Paul invited his Asian brothers and sisters to pray for him while a prisoner in Rome, awaiting his trial in imperial court. “Pray also for me, that whenever I open my mouth, words may be given me so that I may fearlessly make known the mystery of the gospel, for which I am an ambassador in chains. Pray that I may declare it fearlessly, as I should” (Ephesians 6:19,20). The formal word for this kind of praying is intercession. I personally have been sustained by the prayers of other wonderful people in stretches of my life when I have been too distracted or lazy to pray for myself. You will not know until you get to heaven how your life has been blessed by the faithful prayers of people who love you. Could I dare to ask you to pray for me today so that I may proclaim the gospel fearlessly? Parenting by Prayer: 31 Days to Becoming a Happier, More Effective Influence on Your Kids. Many parents spend time praying for their children. But few actually take time to pray for themselves. And the truth is, they need it! 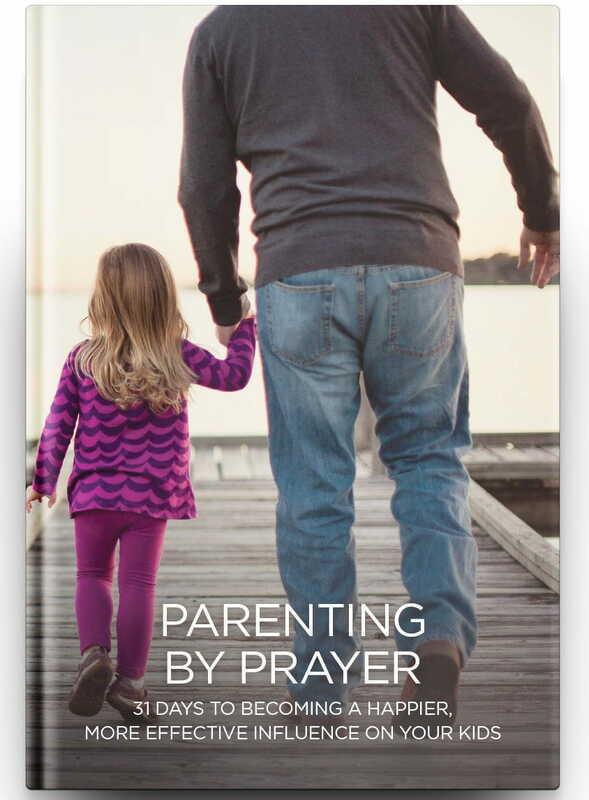 In our brand-new 31-day prayer devotional book, Parenting by Prayer, you’ll be immersed in inspiring, daily conversations with your heavenly Father that take you on a journey to becoming a happier, more effective parent. You’ll learn specific ways to give voice to your fears, to express your joys, and simply spend time with the One who loves to give you peace and rest. Not only that, this prayer devotional also contains journal pages for personal reflection on your journey.